Home / How To / How to Delete or Close Your Outlook.com Account? So, you want to close your Outlook.com account, don’t you? For a long time, Microsoft had Hotmail as their official email platform. But a few years ago, they merged all the services and made Outlook.com the email solution, allowing Hotmail into the oblivion. Not all of us use an Outlook email address. Sometimes, you may feel the urge to delete the account when you have a more professional email solution. Irrespective of the reason, you should know the exact process to closing your Outlook.com email ID. In this article, I am dealing with the same topic here. 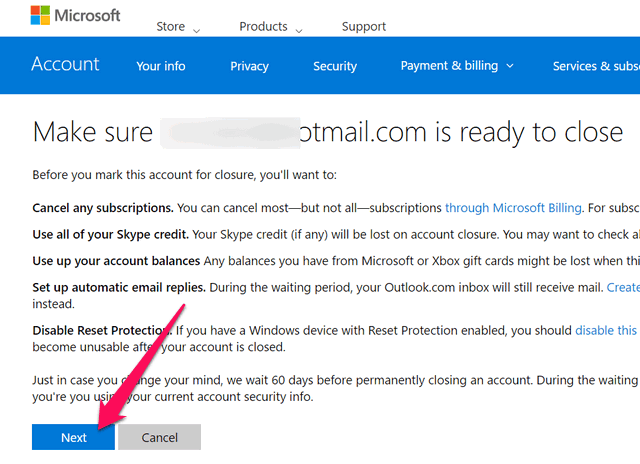 How to Delete or Close Your Outlook Account? You can see below the steps one should follow to delete an Outlook account. 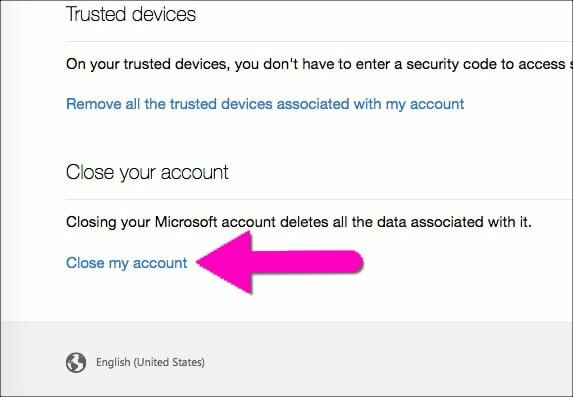 Microsoft doesn’t delete the account right away but keeps it at your reach in any case you happen to think the deletion was a wrong decision. They will delete the account completely removed from their database after 60 days. So, are you sure you want to close your Outlook.com account? The following are the steps you should go through. 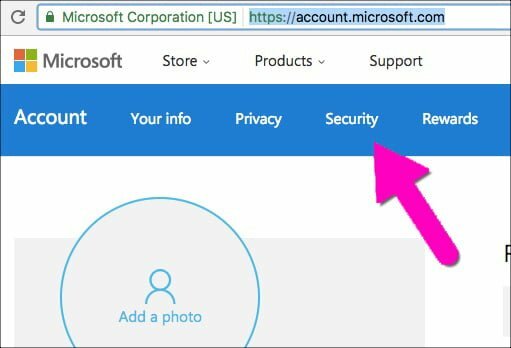 Step 1: First, you have to visit outlook website and log in with your credentials. If you think you forgot the password, you should use any recovery method to reset the same. Step 2: Microsoft now follows a centralized account system. As you logged into your Outlook account now, you don’t have to do it separately for Microsoft. Our next step is visiting account.microsoft.com. Just as you read here, it won’t ask you to enter the credentials again because you did it already at the first step. Step 3: You will see multiple options on the Microsoft account settings page. 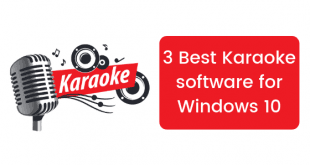 Can’t you see a blue navigation bar there? Well, you just have to click on Security from there. Step 4: On the main content panel, you will get options to change your password and update the account information. We both know you are not there to do either of them. You should get an option to shut the account down right away. So click on more security options link at the bottom. Step 5: Now you need to scroll down to the bottom to get Close my account link. You have made your mind, haven’t you? 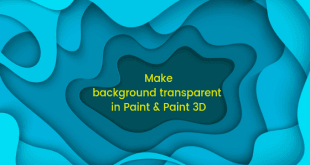 Don’t hesitate to click on it then. 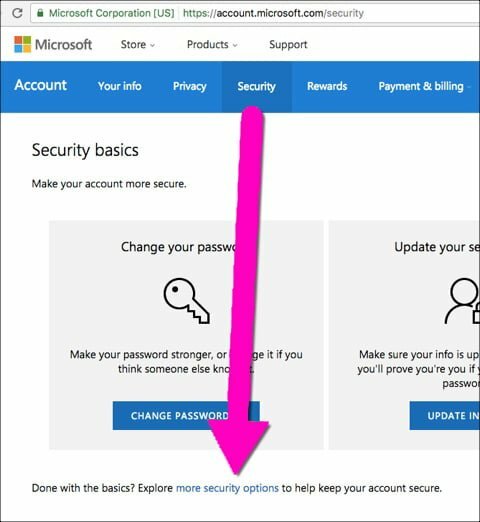 Step 6: Soon you click the link to close your account, Microsoft will give you an idea of what things you should do before taking such an action (deleting your account on any platform is a big deal if you have some unfinished businesses). If you think you are aware of the consequences or you did all the steps given there, you can go on to the Next stage. Step 7: Microsoft will ask you to verify your identity by demanding you to enter your password. Once you do that, they will temporarily close the account. In any case, you change your mind, you can come back and reactivate the account within two months. After a couple of months, your account gets deleted forever and goes irrecoverable. Obviously, you will stop receiving emails from the moment you confirm the deletion. You should use up all the Skype credits if you have any. After deleting the account, you can never get it back. Do you have any balance in your Microsoft or Xbox account? Use this link to check your balance. The credit cards you linked to the account are there, which I recommend you should delete. Even though you don’t delete your account but keep it inactive for a complete year, it will get deactivated and become available to new users for registration. You must visit Microsoft billing service before deleting the account. 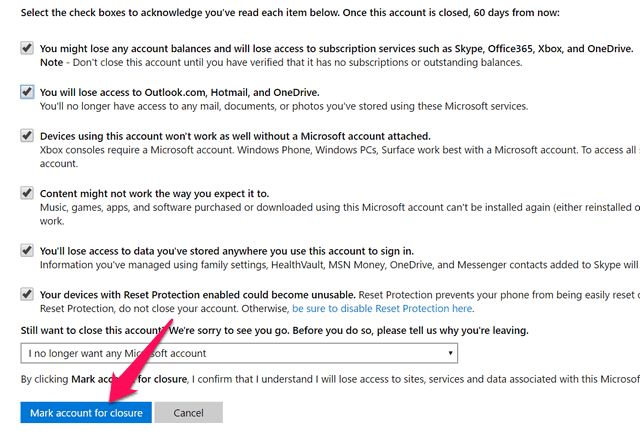 A single pending subscription can block you from closing the Outlook ID. The account stays inactive (but ready to get reactivated again) for 60 days. If you think you want it back, you can have it in this period. As the timeframe passes, you will lose the account forever. The duration was 270 days earlier. Some people have complaints that their account didn’t get fully erased even after following all the steps you read above. If you face a similar issue, you can go to the hidden deletion page from Microsoft. They will ask you to provide the password before completing the procedure. Make sure you have it. I hope you know how to close your Outlook.com account now. Clearly, the account never gets deleted straight away. Instead, it stays deactivated for two months and the deletion only kicks in after the purposed time period. 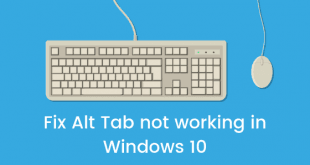 We have already published an article about removing a Microsoft account from your computer. You can refer to it if you want to do the same. Got any doubts? Don’t forget to share with us in the comment section down below.